Panasonic UK has announced a stylish addition to its mirrorless camera lineup, the DMC-GM5. The "world's smallest" to date ILC sports a 16MP sensor, a 1.2M-dot electronic viewfinder, a 3-inch 921K-dot touchscreen, a hot shoe for an external flash unit included with the camera, and built-in Wi-Fi. The camera captures full HD 1080/60p video and features burst speed shooting with full resolution and AF tracking of at up to 5fps. The GM5 bundled with the 12-32mm kit lens is expected to be available in November for around $900. 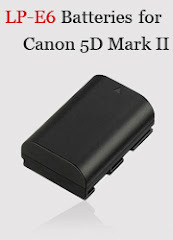 For the complete list of compatible power accessories, please see Panasonic DMC-GM5 Accessories. 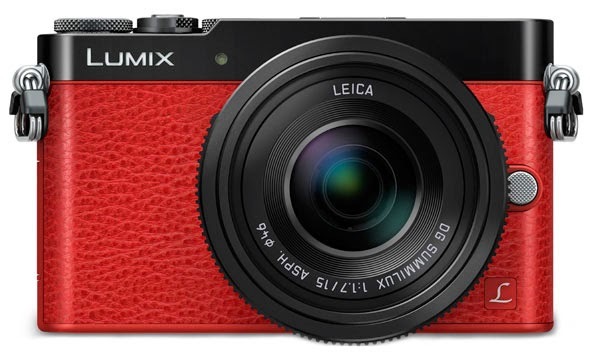 15 September 2014 – Panasonic today unveils the LUMIX DMC-GM5, the latest addition to its pioneering range of LUMIX G interchangeable lens cameras. The new addition to the GM series packs superior image quality and a host of creative features into the most sleek and stylish body of any system camera available, adding a high-performance Live View Finder (LVF) for greater control and accuracy. The LUMIX GM5 is the perfect choice for anyone who wants their camera to complement their style whilst achieving high quality photography and videography. From designers looking for inspiration on the go, to city-breakers who want the most stylish take-anywhere camera, the LUMIX GM5 is ideal for capturing that perfect moment, wherever you are. Years of innovation and a commitment to Micro Four Thirds technology have enabled Panasonic to reduce camera size whilst pushing the boundaries of what’s possible in terms of imaging quality. The LUMIX GM1 set a new precedent for ultra-compact performance; the LUMIX GM5 builds on the successes of the GM1, incorporating a variety of new functions and a practical LVF for even greater control over composition. The sleek, stylish design features a magnesium alloy chassis, a three-strand aluminium dial and high quality grip in a choice of black or red. An external flash unit (GN7, black or silver) is also bundled to fit on the newly added hot shoe. The LUMIX GM5 incorporates a large 16MP, Micro Four Thirds Sensor that achieves improved resolution and higher sensitivity image recording. The Venus Engine features an advanced noise reduction system, resulting in clearer, smoother images, especially in dark environments. Furthermore, the new Detail Reproduction Filter Process enhances the limit resolution and the contrast of middle to high range, for greater clarity in even the brightest conditions. The advanced Intelligent D-range Control offers wider dynamic range while maintaining smooth gradation thanks to high-precision signal processing. With the LUMIX GM5 every element of an image – from dark to bright – is accurately reproduced. Advances in imaging technology also enable the LUMIX GM5 to record stunningly smooth, full-HD 1,920 x 1,080 60p / 50p videos in AVCHD Progressive and MP4 with stereo sound. Dolby Digital ensures high quality audio recording is achieved, with an additional Wind Cut function to limit noise from background wind. A major new addition to the LUMIX GM is a practical, 1,166-dot equivalent LVF with approximately 0.92x / 0.46x (35mm camera equivalent) magnification and 100% field of view. The LVF provides the same colour reproduction as that of the LUMIX GX7, and a Touch Pad AF function enables simultaneous use of both the LVF and monitor for maximum control and more intuitive shooting. What’s more, the Eye Sensor AF starts auto focusing as soon as you look into the LVF, so your camera will be ready to shoot as soon as you are. The LUMIX GM5’s large 920K-dot touch monitor is directly attached to the front panel, removing the layer of air in between the two components. Consequently, reflections in the 3-inch screen are dramatically reduced. Together with the increased resolution and improved colour reproduction, the LUMIX GM5’s monitor secures higher visibility than ever, even in sunny conditions. Furthermore, the LUMIX GM5 allows photographers to use max. 1/16000 fast shutter speed for more impressive expression with a high speed lens. The LUMIX GM5 is also compatible with Focus Peaking, Silent Mode, Highlight/Shadow Control and Level Gauge. The Contrast AF system found across the LUMIX G range boasts high levels of accuracy, especially when shooting with a large aperture. The LUMIX GM5 also features Light Speed AF, making it possible to capture those fleeting moments of inspiration with breath-taking clarity. The LUMIX GM5’s AF Drive communicates image data at up to 240fps, meaning it outperforms many DSLRs in terms of both accuracy and speed. The camera also features high speed burst shooting with AF tracking at 5fps in full 16MP resolution. Low Light AF functionality is also incorporated into the LUMIX GM5, significantly improving AF performance in darker conditions, such as moonlit walks or dinner at a low lit restaurant. This also makes it possible to set focus on the subject more accurately. In addition to Face Recognition AF, the LUMIX GM5 also incorporates Eye Detection AF which automatically sets focus right on the eye. With the Pinpoint AF, you can also magnify the target area x5 to set focus, simply by touching it on the monitor. This enables users to set focus on the precise target point while seeing the whole image composition. The LUMIX GM5 integrates a variety of artistic functions that add fun and creativity to your digital photography. With the new “Snap Movie” function, users can record video in designated short period of time (2/4/6/8 sec) to create a show reel of “moving photos”. With various editing options, including the addition of bespoke audio, videos are highly personalised and can be shared quickly and easily via the Panasonic Image App. The popular Creative Control mode also returns, with a total of 22 filter options. The parameters of each setting are fully adjustable and it’s now possible to combine preferred settings and filters to create truly original images. A new feature of the LUMIX GM5 is the capability of being able to taking pictures “with” and “without” filter effects simultaneously, so that you can compare, contrast and choose your favourite to share with friends. The LUMIX GM5 integrates Wi-Fi connectivity for a flexible shooting experience and fast and easy image sharing. It’s simple to connect the camera to a smartphone or tablet, allowing you to post images and clips to social media or email them to friends and family almost as soon as they’ve been recorded. The connectivity options also enable Remote Shooting, which allows you to use your smartphone or tablet to act as a remote control for the LUMIX GM5 - ideal for capturing dangerous situations or shy subjects where it isn’t practical to stay with your camera. You can even change settings such as focus, aperture, shutter speed and ISO, before triggering the shutter release. Then check your results with Remote View before retrieving your camera from its position. The new LUMIX G VARIO 35-100mm / F4.0-5.6 ASPH. / MEGA O.I.S. (H-FS35100) with a focal distance of 35-100 mm (Equivalent to 70-200 mm on a 35mm camera) is the perfect lens for softly blurring the background of portraits and close-ups or capturing objects further away. The lens has been designed with a metallic profile and its retractable structure makes it stunningly compact and easy to carry anywhere. Additionally the single focal length lens, LUMIX G 14mm / F2.5 II ASPH. (H-H014A), has been updated in both black and silver to seamlessly match either camera’s style and sophistication. Taking advantage of the wide angle of view and deep depth of field, the compact lens offers excellent performance in a range of environments – from sweeping landscapes to confined, indoor shooting.